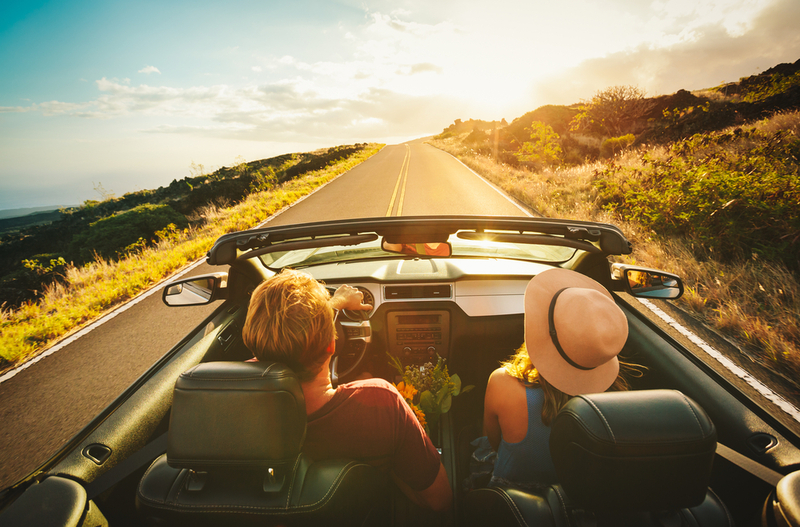 Nothing says summer like a road trip! While planning a route and packing everything you’ll need for a trip to remember, don’t forget to give your vehicle a checkup. A flat tire or loose belt could bring your road trip to a screeching halt! Be prepared by making sure, either yourself or through an automotive technician, that all the items below are good to go. Fluids. Keep your metal steed hydrated! When was your last oil change? If it is close to changing time, bite the bullet and get it done before the long drive. Other tanks to check include transmission fluid, coolant, brake fluid, and power steering fluid. Make sure your windshield washer fluid is full and ready to fight dirty rain and bugs, too! Air filters. Like motor oil, the filters in your car get dirty. Road trips are dusty; make sure you have fresh filters to combat the road! Belts. If you have a newer vehicle, you may only have one belt, a serpentine, that runs your car’s major components, such as the water pump, alternator, power steering and AC. Older vehicles have multiple belts to run operations. Cracks, tears, or jagged edges mean the belt is worn out and needs replacing. Hoses. The rubber hoses in your vehicle are exposed to high heat levels on a regular basis. Any cracking or flaking means the rubber has lost its elasticity. Better to replace it now than in the middle of a highway! Brake pads. Thin, worn out brake pads make for a loud, screechy ride as well as increased stopping distance—and a dangerous road! Be ready for quick stops with new pads. Lights! Be sure to check all of your lights before heading out! That includes headlights, tail lights, turning signals, and license plate lights. Wipers. Keep summer rain at bay. Check your wipers for cracks and replace them if they are worn out. Tires. They will traverse hot pavement, potholes, gravel and more, so they deserve special attention! Are your tires wearing evenly? Are they too worn and need replacing? If you’ve noticed your vehicle wants to drift, a wheel alignment check is also a good idea. Check the pressure of your tires and be sure they are at the optimal pressure before setting out. It’s best to keep checking pressure every 1000 miles. Emergency kit. A car emergency kit should include items for both you and your car. A spare tire, car jack, extra car fluids, a flashlight, and a small tool kit are all good additions for a summer road trip emergency kit. For the people in your car, a map, bottled water, energy bars, a first aid kit, a blanket, and any appropriate gear for seasonal weather will be invaluable in an emergency. Come to Tonka A&M for a maintenance checkup, and we’ll make sure that your metal steed is ready to hit the ground running. Now YOU are free to dream up the best road trip ever! Happy adventuring this summer!